Remember That One Segment of Tales from the Darkside? 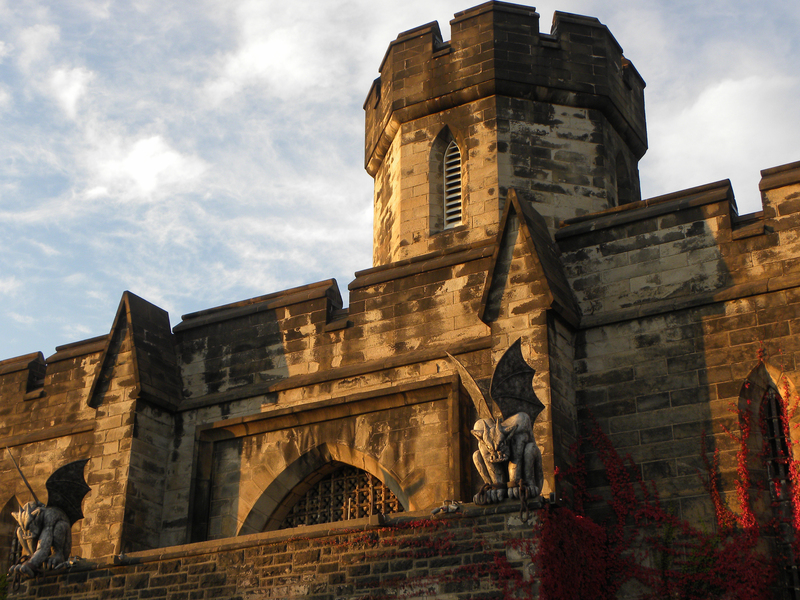 Carson (l) and Frank (r) guard the entrance of Eastern State Penitentiary every fall since 2005 during Terror Behind the Walls, 03 November 2011. 23 Oct	This entry was published on October 23, 2013 at 8:45 am and is filed under Architecture, Fairmount/Art Museum, Historic Preservation. Bookmark the permalink. Follow any comments here with the RSS feed for this post.